Leaders and envoys of 11 African nations signed the Peace, Security and Cooperation Framework for the Democratic Republic of Congo and the Great Lakes in Addis Ababa last weekend, making a series of commitments: the Congolese government pledged to continue security sector reform and increase the decentralization of economic development and social service delivery; countries in the region pledged not to interfere in Congo, support armed groups, or purposefully destabilize its neighbors; and the international community promised to support long-term stability in the region, appoint a United Nations Special Envoy, and strategically review the mandate of the U.N. Organization Stabilization Mission in Congo, or MONUSCO. The framework agreement created both a regional and national oversight mechanism to monitor the implementation. The regional oversight mechanism, known as the 11+4 mechanism, includes the 11 African signatories, the U.N., the African Union, the International Conference on the Great Lakes Region, or ICGLR, and the Southern African Development Community, or SADC, and receives support from major donors. The national oversight mechanism is managed by President Kabila and the Congolese government. The international community has expressed optimism over this peace deal, which was highly anticipated given the limited scope and the stagnation of negotiations in Kampala and the absence of a comprehensive peace process in the Congo since 2006. However, there is an understanding among international leaders and NGOs that this consensus is, according to U.N. Secretary General Ban Ki-moon, only the beginning of a “comprehensive approach that will require sustained engagement.” The French Ministry of Foreign Affairs said, “We call upon all signatory states to implement in good faith the commitments they have made and continue their dialogue to reach a political solution to the crisis.” Other high-level diplomats, including U.S. Permanent Representative to the U.N. Susan Rice and High Representative for Foreign Affairs and Security Policy for the European Union Catherine Ashton have applauded these efforts. Rwandan President Paul Kagame commented that although the framework agreement marks a success, it is not an end in itself, but rather a step within a continuing peace process focused on the “rights, interests and aspirations of the afflicted population.” In a press release, the Enough Project echoed the sentiment that the agreement is just the beginning, emphasizing that the framework is incomplete without U.N.-led follow-on negotiations strongly supported by the U.S. Engaging the Congolese state and civil society by creating a national oversight mechanism that engages Congo’s civil society and main bilateral and multilateral donors. Deepening the role of the U.N., regional organizations, and donors in establishing accountability for implementing reforms by appointing special envoys and tying aid to benchmarked reforms. The U.N. special envoy would have the power to mediate on the international and domestic level, and his work would ideally be complemented by envoys from the U.S. and E.U. 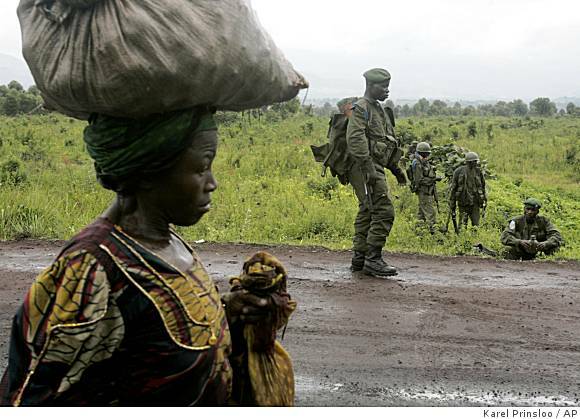 Demobilizing and reintegrating armed groups without impunity for gross human rights abuses. Constructively engaging the region and Rwanda by encouraging deeper regional economic integration. With the engagement of diverse actors, this framework agreement and subsequent negotiations will hopefully bring a sustainable peace to a region that has been plagued by deadly conflict for over two decades.